In this study, researchers Berlin, Germany compared the symptoms produced by Galphimia glauca (a botanical component in the nasal spray, Zicam, which is used to treat upper respiratory symptoms) to placebo. 15 healthy physicians and medical students were randomly assigned to take G. glauca C12 or placebo for up to 5 days. The treatment period consisted of 1 week of no treatment, a 4-week proving, and 2-week follow-up. 11 volunteers took G. glauca, and 4 took placebo. Neither the researchers nor participants knew the treatment given — double blind. A total of 682 symptoms were observed in both groups. The G. glauca provers experienced exhaustion, weakness, lack of concentration, feelings of confusion, dryness of mouth, and tearing, and burning in the eyes. 2 provers reported clearing of their allergic rhinitis. Statistical analysis showed no difference in the proving symptoms experienced by those who took placebo or G. glauca. Despite the fact that statistical analysis showed no differences between groups, the authors reported observing specific symptoms with G. glauca that correspond to those seen in clinical studies of phytotherapeutic preparations, including relaxing, sedative, anxiolytic, and anti-allergic effects. 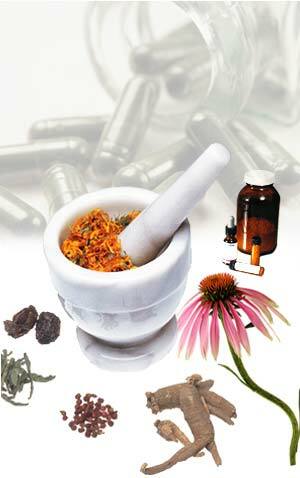 This study displays the strengths and the weaknesses of homeopathic medicine. Strength, because clinical observation is an integral and valued part of the practice. Weakness, because in modern medicine, where politicians, regulators, and practitioners place a premium on statistical analysis, discounting the analytical method suggests bias and self-deception. So, what was the purpose of this study? Why did the authors follow a study design that knowingly compared 15 treated participants to just 4 in the placebo group? What did they think it would contribute to the homeopathic literature? It’s simply anecdotal and asking for condemnation from non-adherents to the discipline. This entry was posted on Saturday, March 28th, 2009 at 11:55 AM	and is filed under Asthma/Allergy, Homeopathy. You can follow any responses to this entry through the RSS 2.0 feed. You can leave a response, or trackback from your own site.